It's almost nighttime friends! How would you say about playing a beautiful and educational game with your friends, Daniel Tiger from the beloved category called Daniel Tiger Neighbourhood, kids? 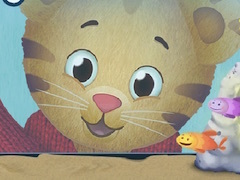 Well, we've seen that you kids had so much fun in the previous game with him, and that's why we thought it's the perfect time for you to play another educational game with him, Daniel Tiger Babysitter. 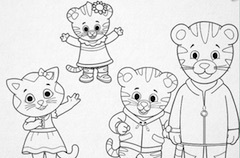 Daniel's mother and father have taken their night off and went to a romantic dinner, leaving your friend, Daniel Tiger, with his babysitter, Prince Tuesday. Daniel likes it when his babysitter comes around, because they always get to play a lot and they have tons of fun together, even though he is missing his parents. 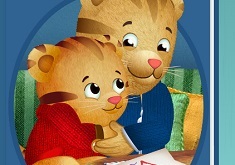 Come and play this fun, interactive game with us and Daniel Tiger, friends, and let's see what kind of fun and adventure are these two up to. Enjoy this beautiful game!